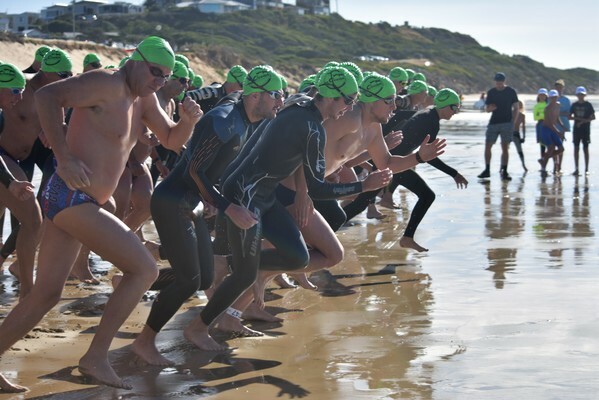 Swim king Sam Sheppard was crowned Enduro Swim champion as 500 plus competitors turned out for the third Ocean Grove SLSC Ocean Open Water Swim Festival on Sunday. 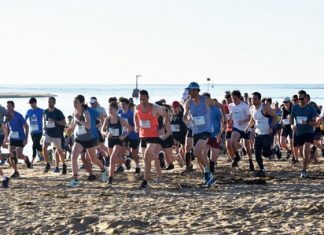 Sheppard, 28, blitzed his competitors in the 2.5 kilometre event and continued a rampant summer after wins at the More Point Danger-2.5km in Torquay, 2.5km Point Leo Swim Classic and the Anglesea SLSC Rock2Ramp. The seven-time Lorne Pier to Pub winner won at Ocean Grove in warm conditions in 28:19 to finish ahead of second-placed Tim Boness (29:29) and Nigel Fanning (29:36), who came third. Sheppard, an Australia Swims ambassador, said fine weather made it a pleasurable swim which was a fundraiser for the Ocean Grove SLSC. 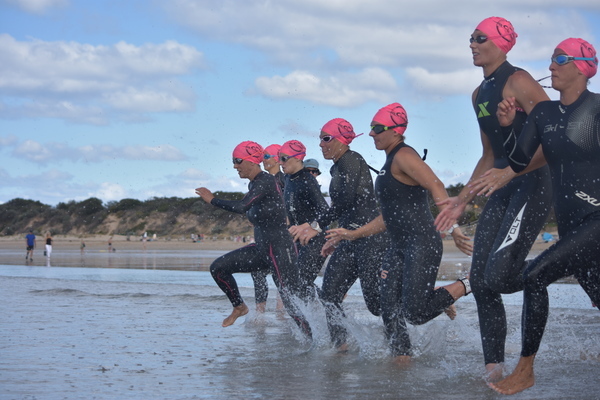 The 27 January event is part of the Great Victorian Swim Series. 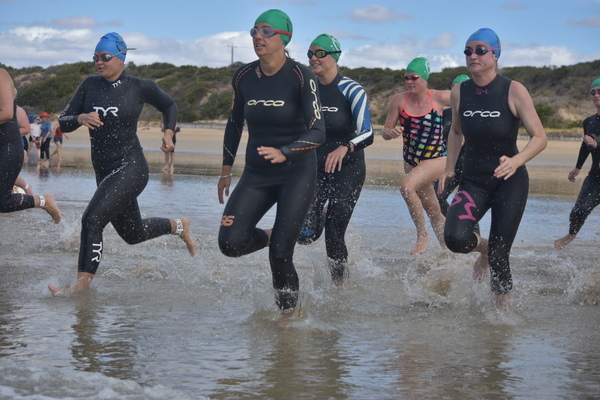 “It was a lovely course, great water temperature, great reason to swim in bathers,” said Sheppard, who claimed the inaugural OGSLSC Ocean Open Water Swim Festival 2.5km event in 2017. Clare Milligan was the first female home in 31:28 and came eight overall. 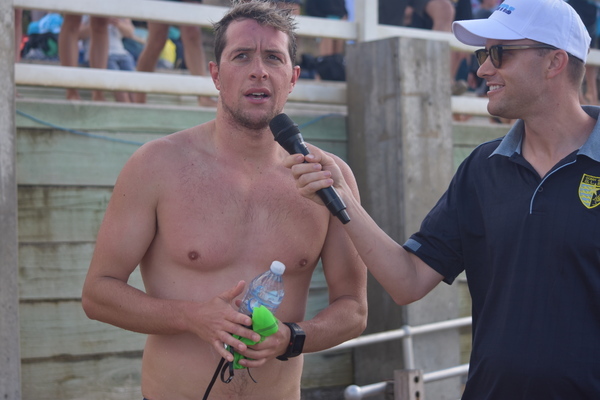 Darius Schultz, a finalist at the Queenscliff180 Family Swim on 20 January, won the 1.2km Classic Swim in 15:32 to finish ahead of second-placed Jayden Foad in 15:57. Teenager Caitlin Huell (16:17) was the leading female in the 1.2km Classic Swim and won the Under 18 category. Ocean Grove SLSC competitor James Paterson (16:22) shined to win the Under 18 category and came fourth overall in the 1.2km event. IN the 400m Junior/Novice Swim, Mietta Morgan won in 09:41, while Ocean Grove SLSC junior pair Helen Topolcsanyi (10:23) and Lily Hallam (10:31) came second and third. Ocean Grove SLSC Nipper William Deverall (10:43) was the first junior male home in the 400m event and came fourth overall, while locals Charlie Confoy and Hugo Walsh came second and third in junior boys category. Hamish Cole won the 400m Open category in 11:06. OCEAN Grove SLSC president David Pavia praised 100 plus club volunteers which helped with surf patrol and water safety with club members competing at the Manly Life Saving Club and Freshwater SLSC Open Surf Carnival in Sydney on the same weekend. “We only sort of have half the club here because so many people (are) competing in New South Wales – it was great with the (volunteer) turnout,” Pavia told the Voice. It was OGSLSC’s last major fundraiser before the new clubhouse building is expected to be finished in April/May of this year. Meanwhile, Ocean Grove SLSC was represented at the 2019 Surf Life Saving Australia Interstate Championships at Newport Beach in New South Wales on 24 January. Local competitors included Campbell Bohan, Kimberley Gilling and Lexie McNaughton competed for Victoria, while Ocean Grove SLSC head coach Sonia Kinsey was the Victorian team manager.